Description: Dieses Paket enthält 3 Brunnen. Farbenbrunnen, Seerosenteich, Sprudelbrunnen. This pack contains three fountains. Color Fountain, Lily Pond, Bubble Fountain. Updated 23 August to correct footprint, rotations and add English language section. 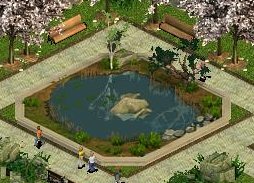 Description: Der Ingame-Ententeich ohne die Enten. 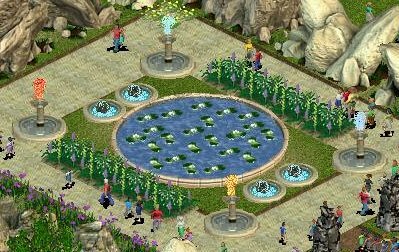 The ingame duck pond without the ducks. Page created in 0.028 seconds with 21 queries.